We go to the gym every day, fight temptations of eating chocolates and other desserts, drink litres of water every day, all in the name of being healthy. But did we ever think about how we could protect the most valuable organs of our body – the eyes? Eyes are precious and delicate. Maintenance of our eyes is often neglected but little do we know that just a touch of looking after can keep them functioning for years and years to come. Just like we stick to a healthy diet to remain slim and sleek, studies have shown that adding nutrients that benefit your eyes to your diet is a good way to keep your eyesight perfect. Regularly having foods with zinc, vitamin C, vitamin E and omega fatty acids, will avoid any age-related eyesight problems in the future. Green vegetables, beans, salmon, tuna, eggs and oranges are some of the foods that keep your eyes healthy. Moving on, as we all know, smoking is injurious to health and to your eyesight in particular. If you smoke, you are more likely to have cataracts and experience optic nerve damage. If you are one of those who tried to quit smoking but failed, then keep trying until you succeed. The sun emits harmful rays that can damage your eyesight. Whenever you are exposed to the sun, cover your eyes with special sunglasses that keep the ultra violet (UV) rays away from your eyes. Macular degeneration and cataracts are a result of too much exposure to UV rays. If your daily schedule involves a lot of driving around, use polarized lenses to reduce the glare. Although some contact lenses offer UV protection, it is a good idea to wear sunglasses on top of your contacts for additional protection. If your work involves dealing with hazardous or airborne materials, wear protective goggles or safety glasses at all times. Also, while playing sports such as ice hockey, lacrosse and racquetball, the occurrence of eye injury is highly likely. For this reason, players are advised to wear eye protection such as face masks or helmets to protect their eyes. 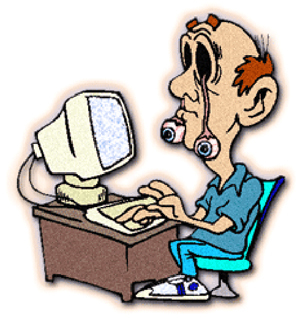 For those who work hours and hours on the computer, a good tip is to look away for a few minutes at regular intervals. Continuously staring at computer screens could cause blurred vision, dry eyes, eye strain, long distance focus, headaches and back aches. To protect your eyes from such damage, make use of glasses or an anti glare screen to protect your eyes from glare and eye strain. Position your chair at a level that is in line with the top of the computer screen as this gives the most comfortable view. Your chair should be comfortable, supportive and should be low enough for your feet to reach the floor. If you have dry eyes in general, regularly blink them while working. Also, every twenty minutes, give your eyes a break by looking at something twenty feet away for twenty seconds. And lastly, you need to move completely away from the computer for about 15 minutes every two hours. Joanna Robinson is a nutritionist and a physical instructor. She is experienced in providing health related advices. These days she is writing articles about how to colourvue contact lenses.